I absolutely adore making cupcakes; mini, regular and giant. 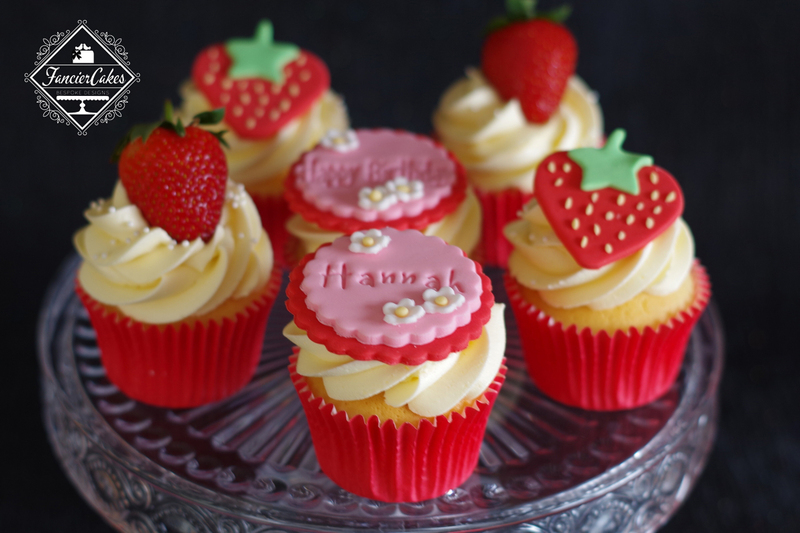 Each “Fancier Cakes” cupcake is baked to perfection, with delicious fillings and decadent toppings. The choice is yours; there are so many styles of toppings, fillings and sponge flavours. Minimum order of 6 cupcakes is required. 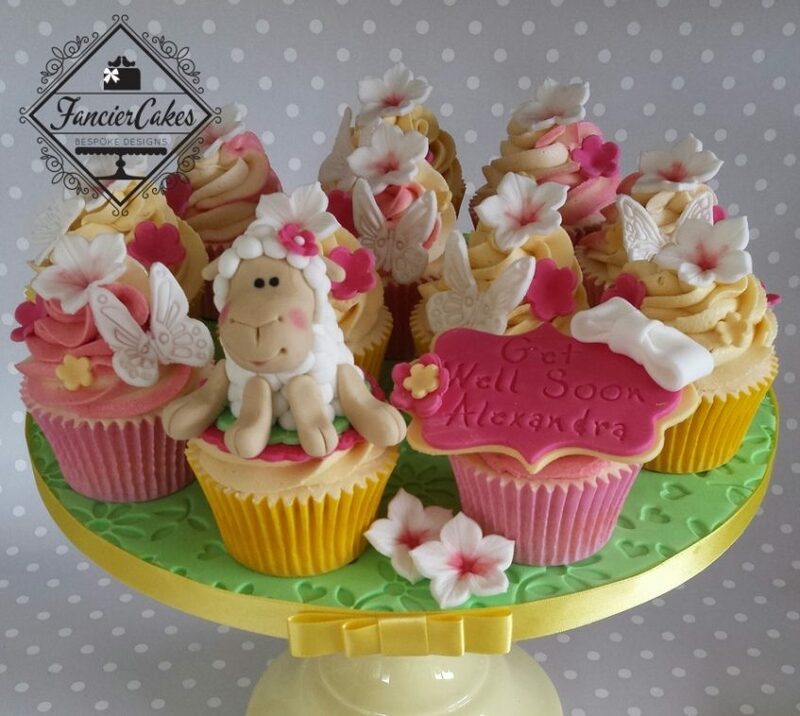 I can deliver cupcakes to your friends and family within the local area. 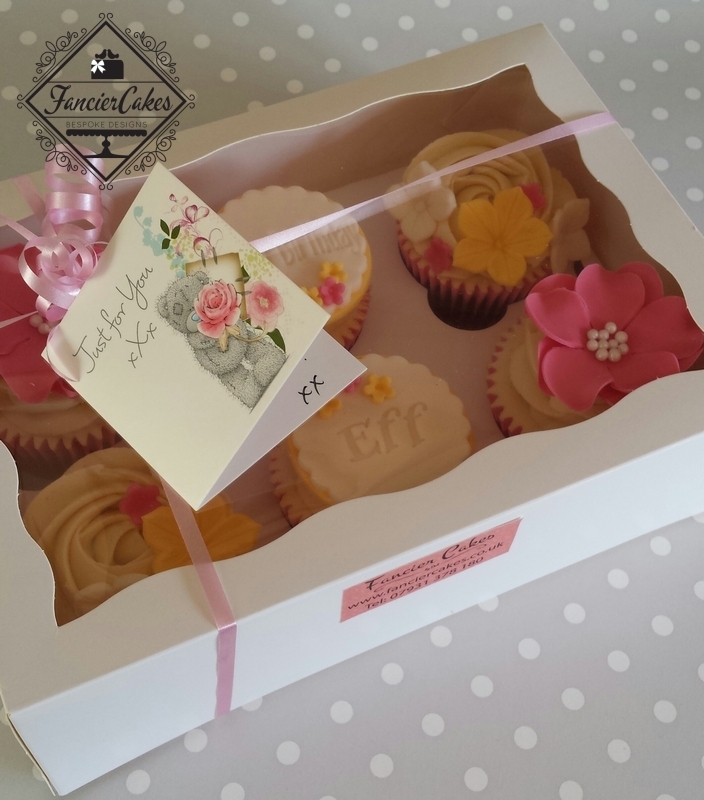 The cupcakes will be boxed, tied with ribbon and with a message of your choice.